In search of hen party inspiration? You may not know it yet, but your favourite Netflix series has been giving you all the ideas you need! 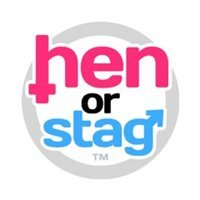 Here are a few Netflix series that is inspiring organisers to throw a quirky and unique hen party in London! For fans of “The Crown”, a hen party inspired by the Netflix series can be effortlessly arranged in the city of London. Whilst you can’t enjoy an afternoon tea in Buckingham Palace like the Queen herself, you can still get the royal treatment in close proximity to the monarch’s domain. The Palace lounge in the Ruben’s hotel directly overlooks the royal mews of Buckingham Palace, giving you a lavish backdrop for an afternoon wrapped in luxury! Book your table and enjoy a refined afternoon with artisan cakes and delicate china. The Tick Tack Club is London’s own Peaky Blinders’ themed secret underground speakeasy! Get the feel of 1920’s life with this trendy and exclusive bar that will transport you and your girls to post great-war Birmingham. Found on the Cambridge Road, the Tick Tack Club is accurately decorated to look like the set of the hit BBC series, as well as selling Peaky Blinders themed spirits and ales for your group to sample! The bar itself is spread over two floors offering two very different vibes, with the upper-class dining room perfect for polite conversation, alongside the backstreet bookmaking underground that will give groups the full feel of the world from which the series hails. As if that wasn’t enough, actor’s will stroll around both floors fully in character, which will only help to further send you and your girls back in time to the roaring 20s! Ever thought of cooking your own cocktails? Thanks to ABQ London, a bar inspired by the hit TV series “Breaking Bad” lets you do just that! The world’s first molecular bar will give you and your girls the chance to infuse your own alcoholic concoctions in an RV inspired by the very same motorhome from the show! You can book your own private station and enter the RV in yellow jumpsuits and gas masks that will help you to channel your inner Walter White. It’s £30pp to get two hours of RV time, giving you chance to mix cocktails at your leisure whilst taking great photos to hold onto. The cocktails you can make are all inspired from the show, and while you mix them— foam will be released in the RV to get you wrapped up in the atmosphere of Breaking Bad. Ever find when you’re watching “Friends” that all the characters remind you of you’re own friends? If so, maybe throwing a “Sten Party” in London is worth exploring! A sten party is a party including both females and males, making it a preferred option for close knit friend groups with members from both sexes. There’s also a lot in London that will excite fans of “Friends”, with Friendsfest coming to London and across the UK from July to September! Friendsfest is “the ultimate celebration of the world’s greatest TV show!” From the 21st to the 30th of September this year, you and your mates can explore the iconic set, including Monica’s apartment, Chandler and Joey’s apartment, the coffee shop in Central Perk and even the staircase where Ross and Chandler tried to move a couch through! Get amazing and unforgettable group photos, collect your friends memorabilia, and have a great sten party in London! Take inspiration from your favourite Netflix series and celebrate the bride-to-be’s last night of freedom in London!